People in Sunu’s village of Rangsi in Nepal have suffered badly for years due to smoke from traditional open fires. While these fires have been necessary for cooking and heating, it’s meant that many people have suffered from asthma by the age of 45. Conjunctivitis and headaches were normal for women and elderly people in particular. In addition, the rate of school absenteeism and lateness was high because many children were busy helping their family to collect firewood. 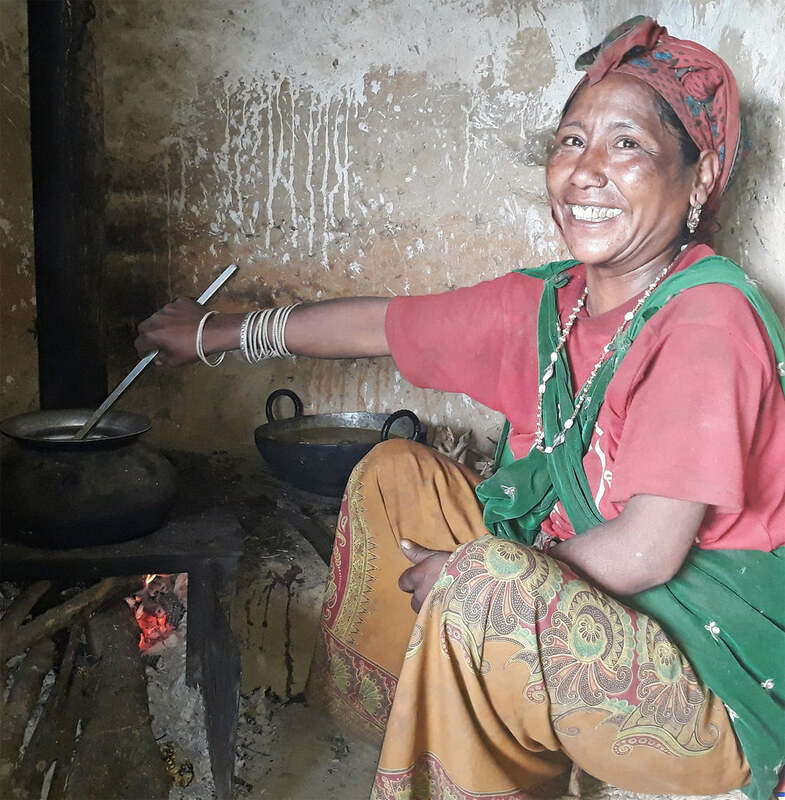 That’s why TEAR Australia’s partner United Mission Nepal (UMN) started a project to provide smokeless cooking stoves for 30 households in a village categorised as ultra-poor. UMN is a local organisation that strives to address root causes of poverty, as it serves the people of Nepal in the name and spirit of Jesus Christ. Now, instead of smoke filling up the kitchen, putting the family at risk of eye and respiratory diseases, it’s funnelled out of the room via a metal pipe covered in insulating mud. Mothers like Sunu can now cook two traditional meals - dhindo and tiwun - at the same time which has saved her an hour of cooking time! “Our children are going to school on time since the lunch gets ready faster and they also don't have to go to jungle frequently (to collect wood),” says Sunu. More importantly, women and elderly people in particular are enjoying much better health. And less wood is being consumed, with the community now using five and a half bamboo baskets of firewood per month on average instead of twelve and a half. UMN is working with other villages too to install these smokeless stoves and improve the nutrition of children in particular. In villages where some children are malnourished, support groups have started up to cook midday meals together and start growing kitchen gardens. The flow-on effects of a simple stove have certainly gone beyond the expectations of Sunu and her neighbours! A fuel-efficient stove reduces health issues like respiratory disease by funnelling smoke out of the home. With less wood needed for fuel, it means children have more time for their studies instead of collecting wood! | More information.